Welcome to Fox Wine Co. Born and bottled in 805 . Enjoy! 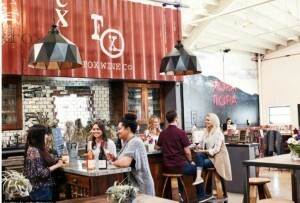 Fox Wine Company’s renovation is complete! Come visit us in our new digs!! The lengthy renovation process is finally complete and we couldn’t be happier!! We still have the same great location at 120 Santa Barbara St. in the heart of Santa Barbara’s “Funk Zone”. But now we have bigger and better things happening in this beautifully decorated space. Fox Wine Company now floats in the middle of the “Waterline”. A cool, industrial building that’s now a one stop shop. 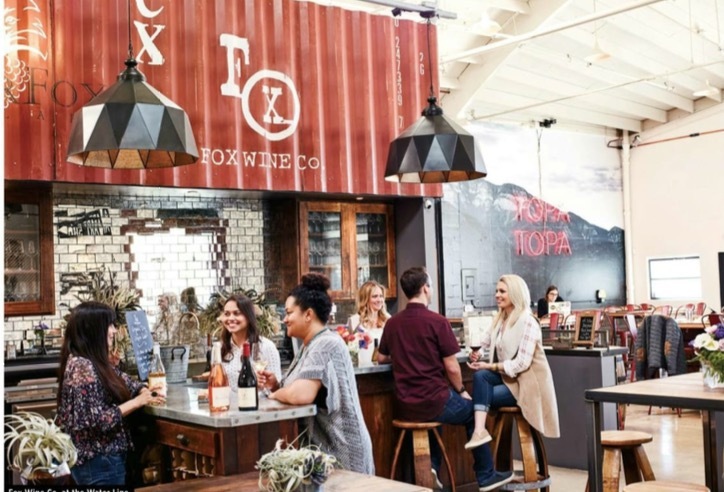 Our neighbors in the Funky, cool space include Topa Topa Brewery, The Guilded Table which features artist, vendors and clothing boutiques, Lama Dog Tap room and last but not least The Nook Eatery. The Nook is an awesome new Restaurant founded by Master Chef Norbert Guehr. He provides our customers with a delicious dining experience while guests visit the line up of wines that we have to offer. Just order food from the Nook and they’ll come bring it over to you. Our wine list has expanded! We now offer 3 different tasting flights, 15 wines by the glass and bottle, and hand made Organic Cider on tap. We have also included our sister winery, Blair Fox Cellars to the line up. We are open daily 12-8 Monday through Thursday and 12-9 Friday and Saturday. We look forward to sharing our delicious wines with you and can’t wait for you to experience our new space.